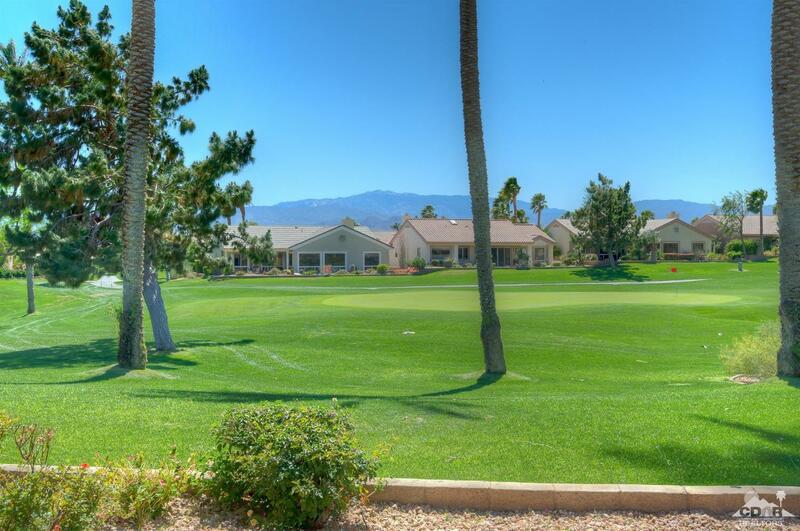 Sun City Palm Desert- Morocco. 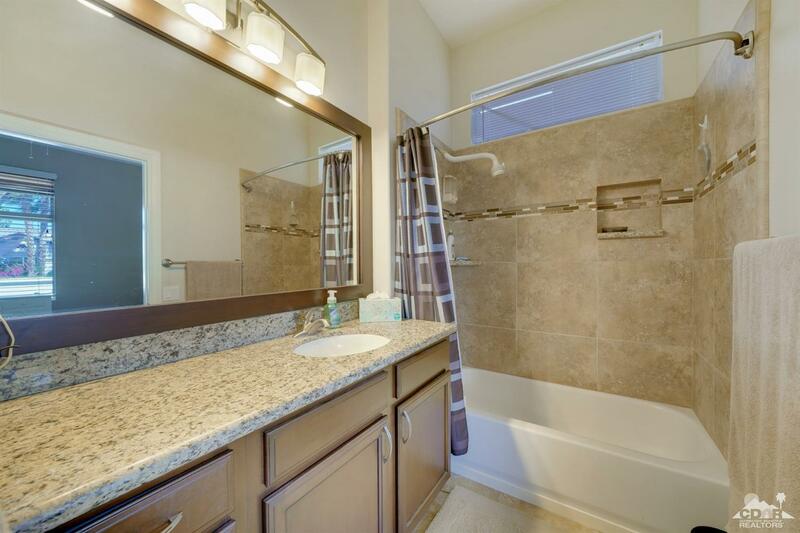 Location, upgrades & a powder room too! 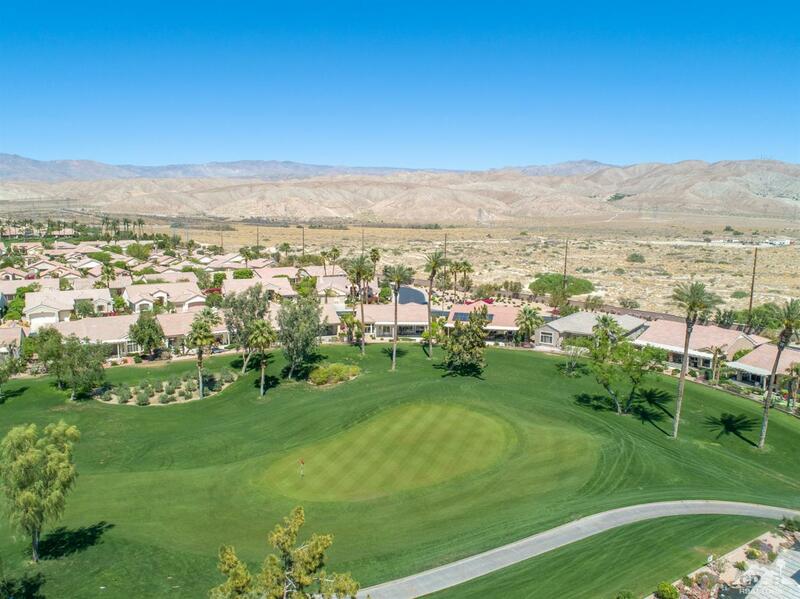 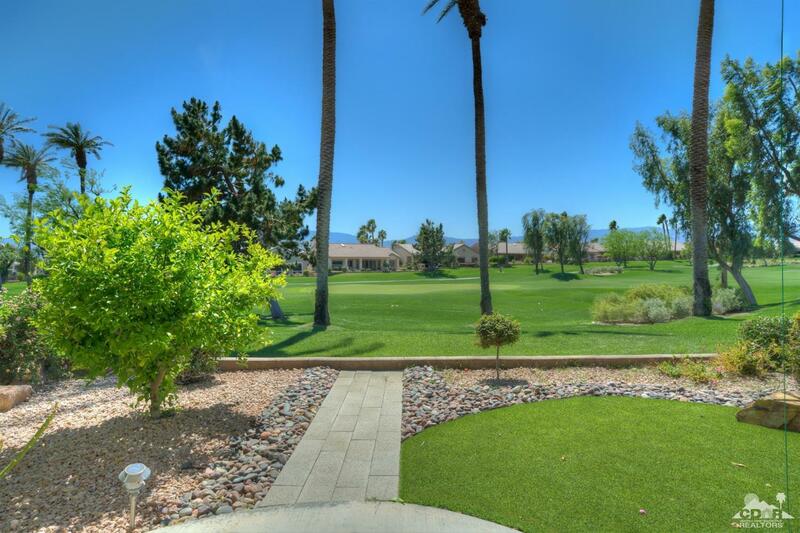 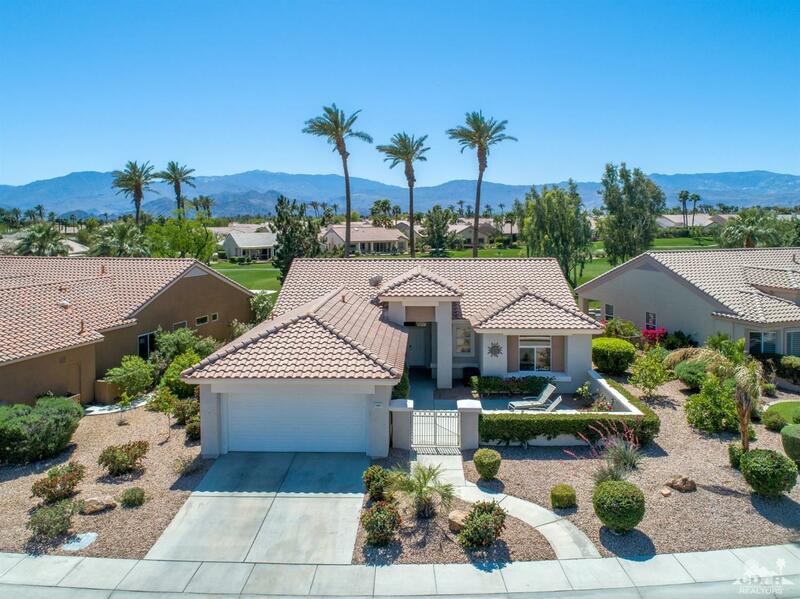 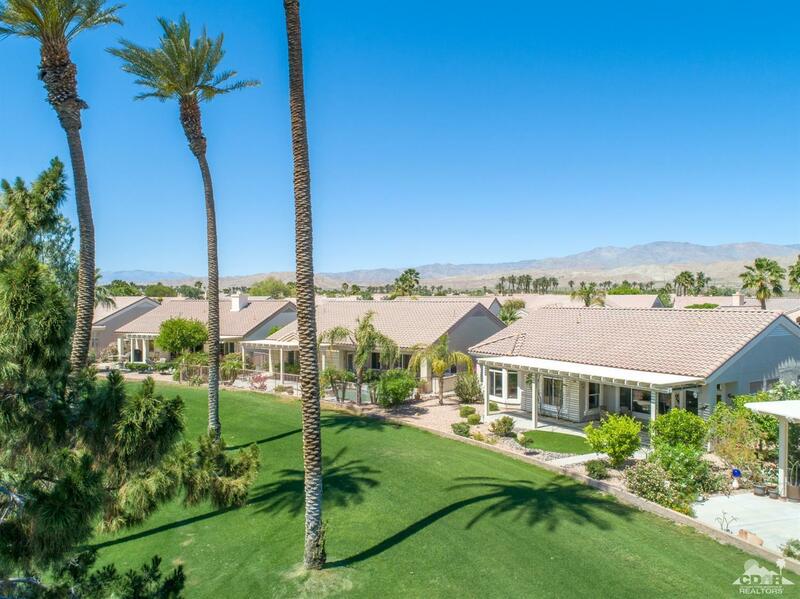 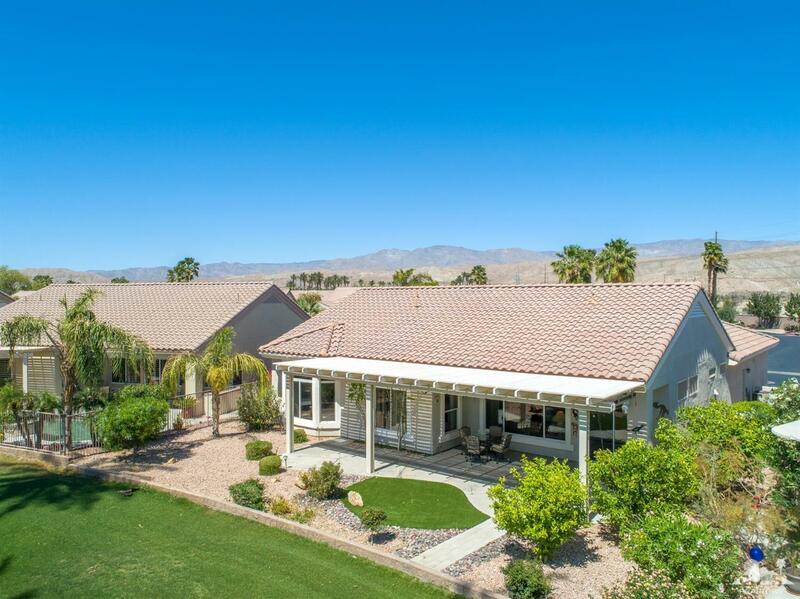 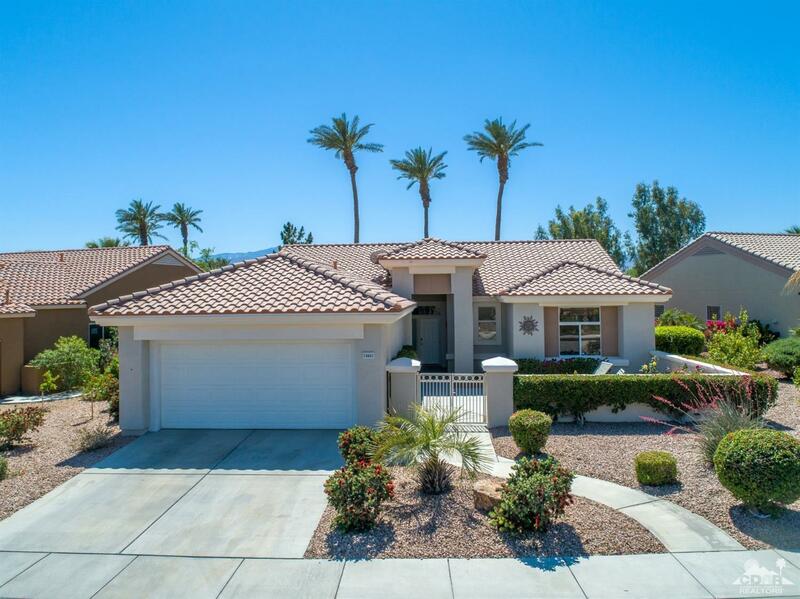 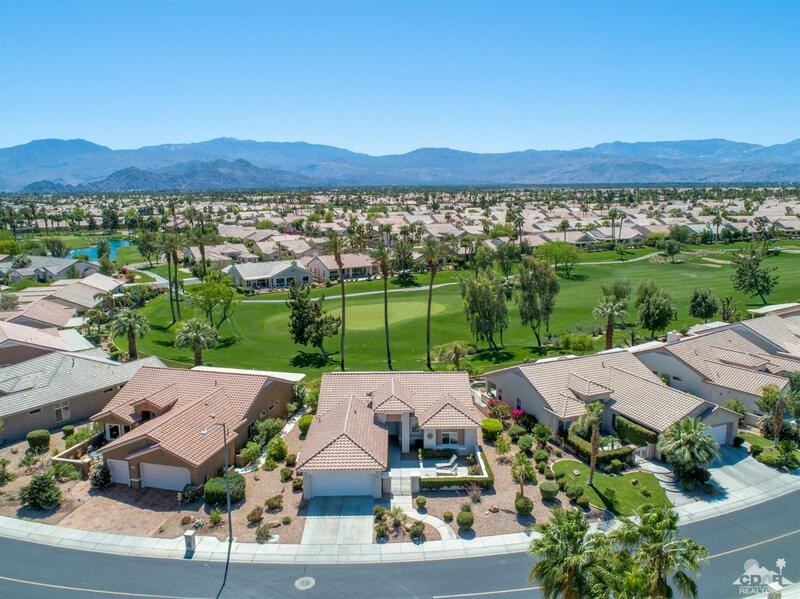 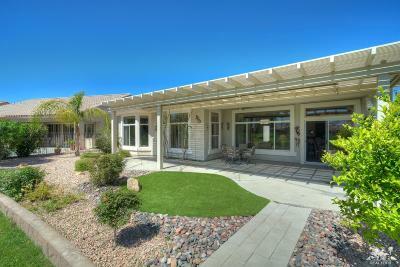 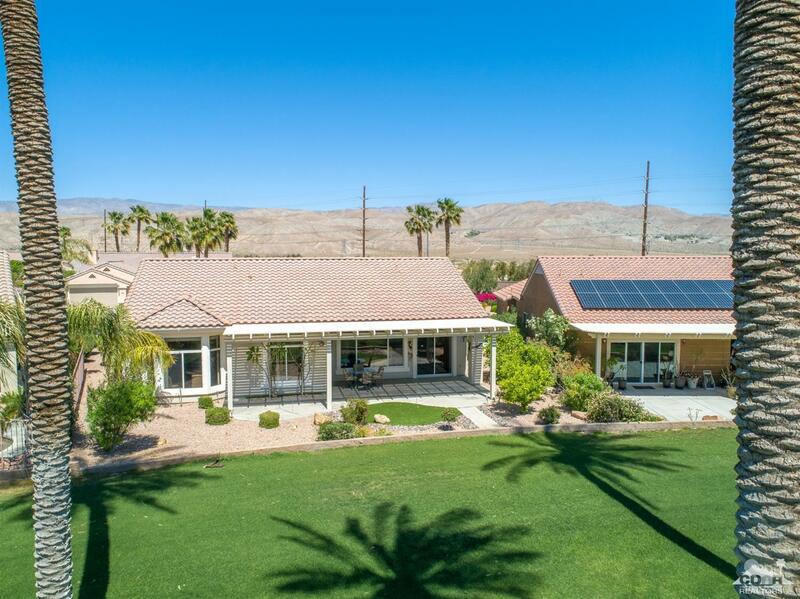 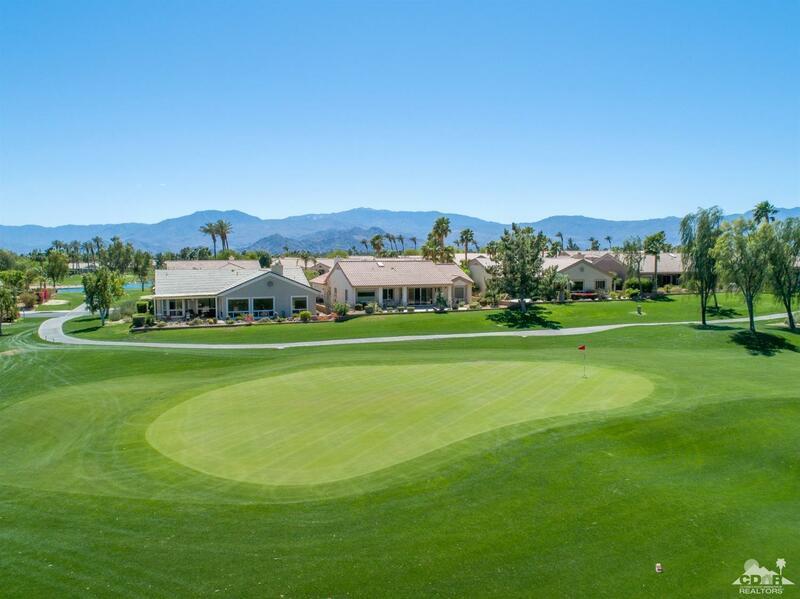 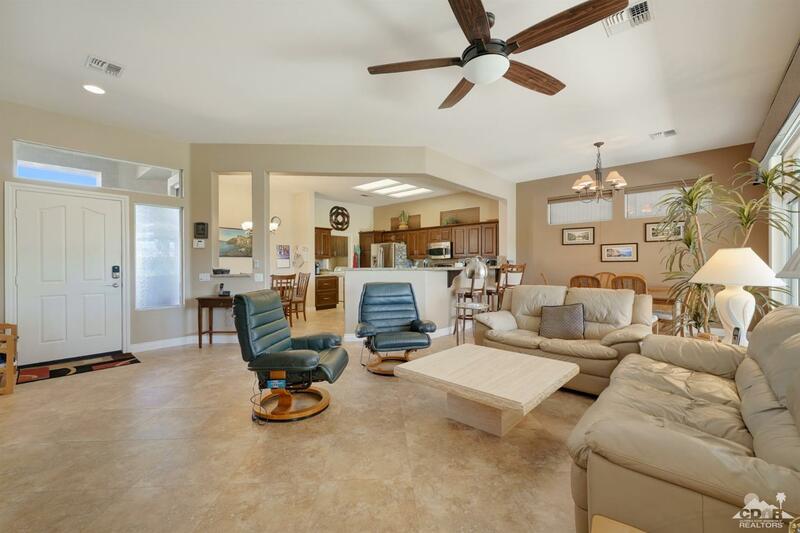 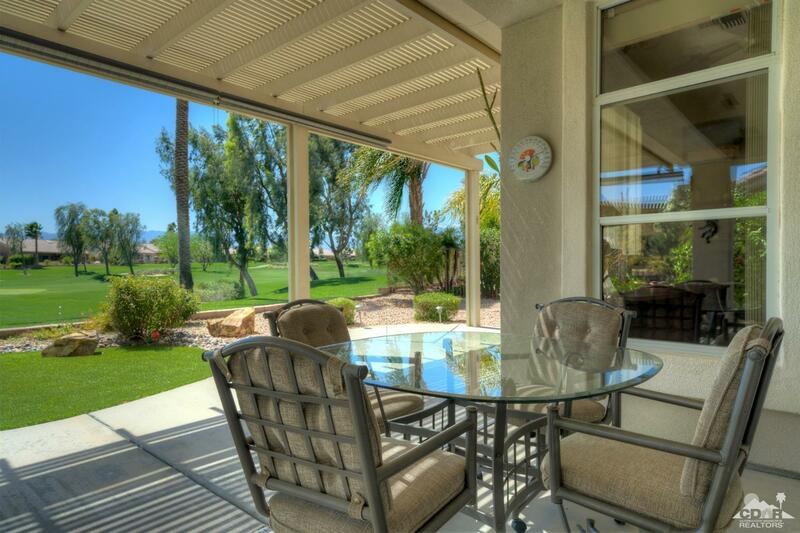 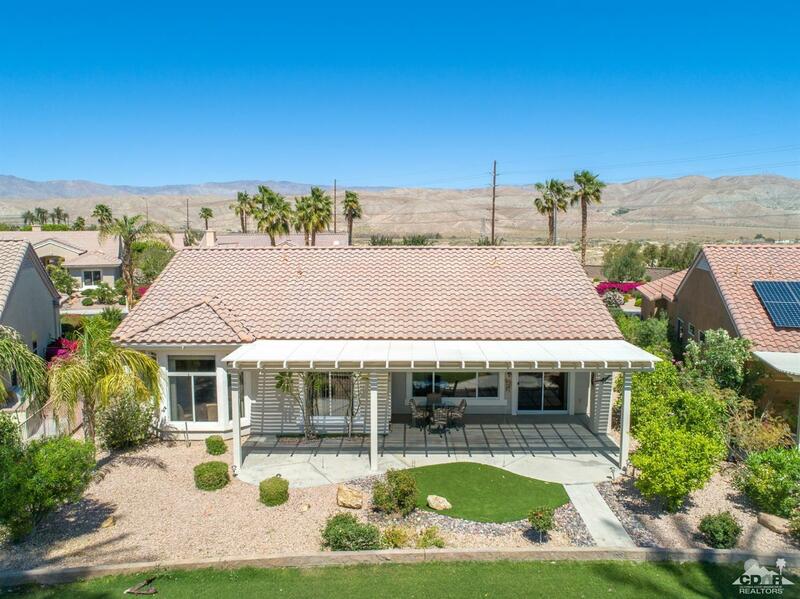 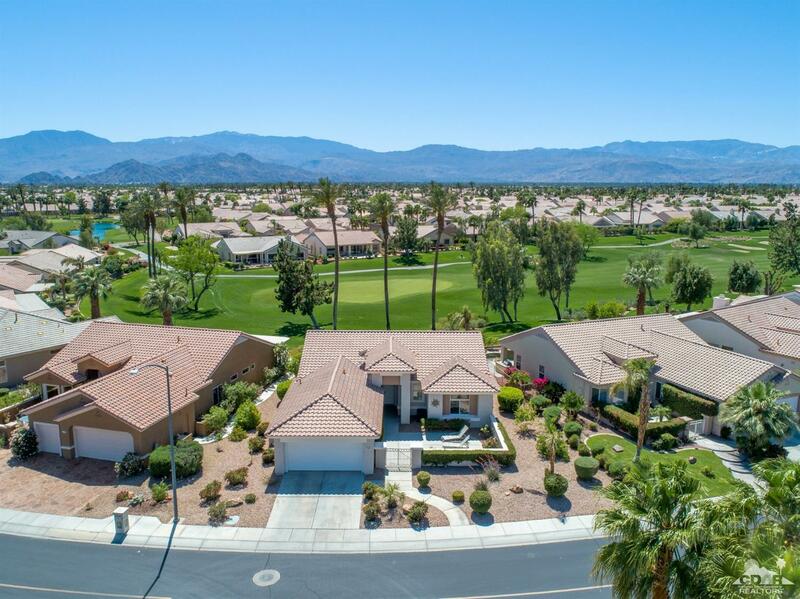 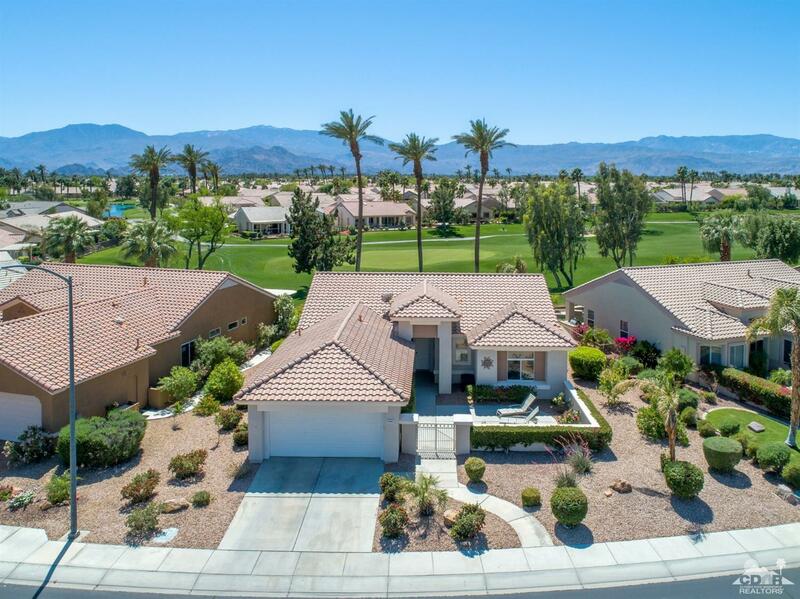 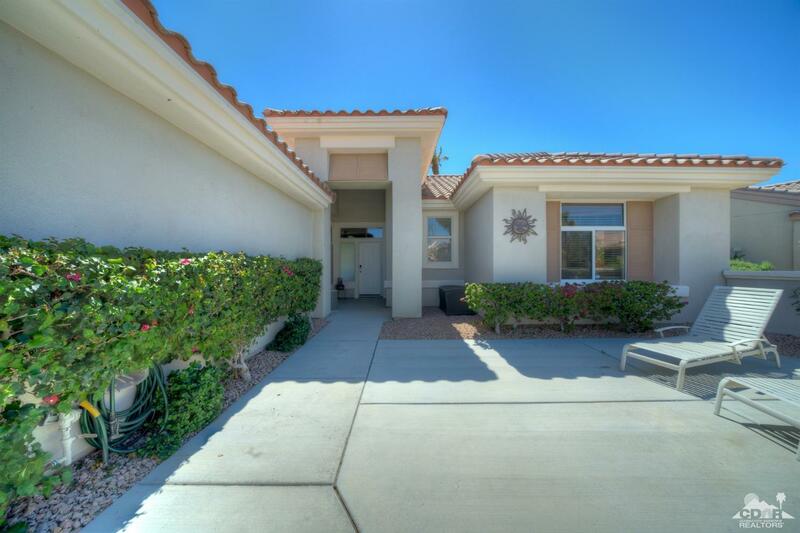 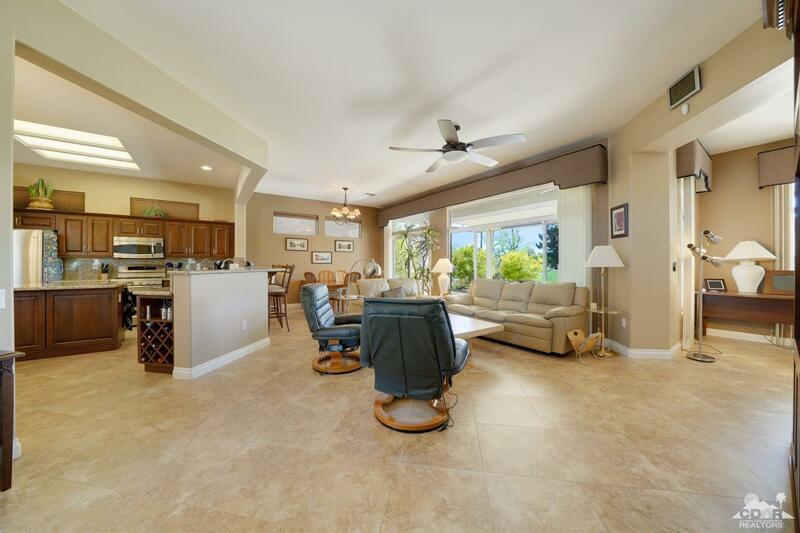 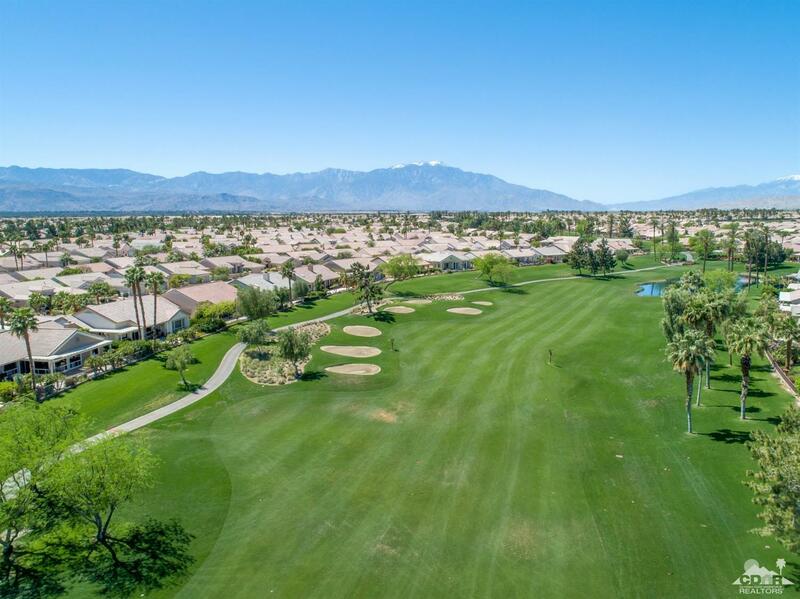 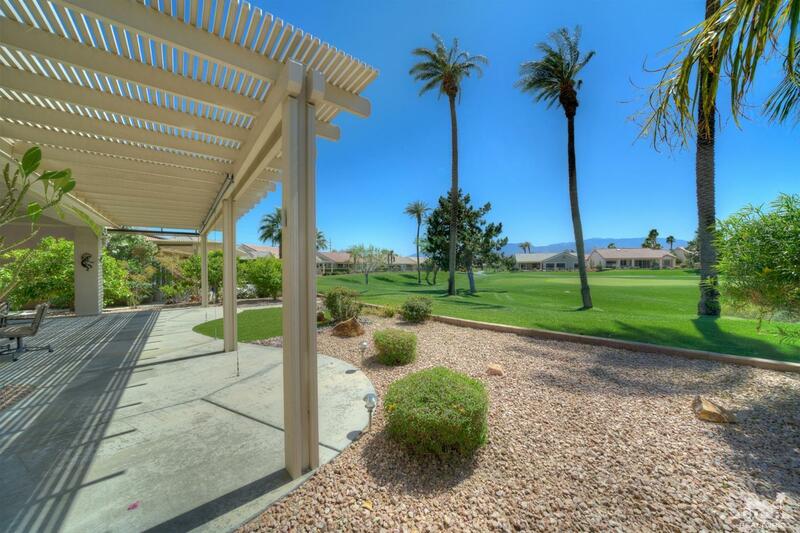 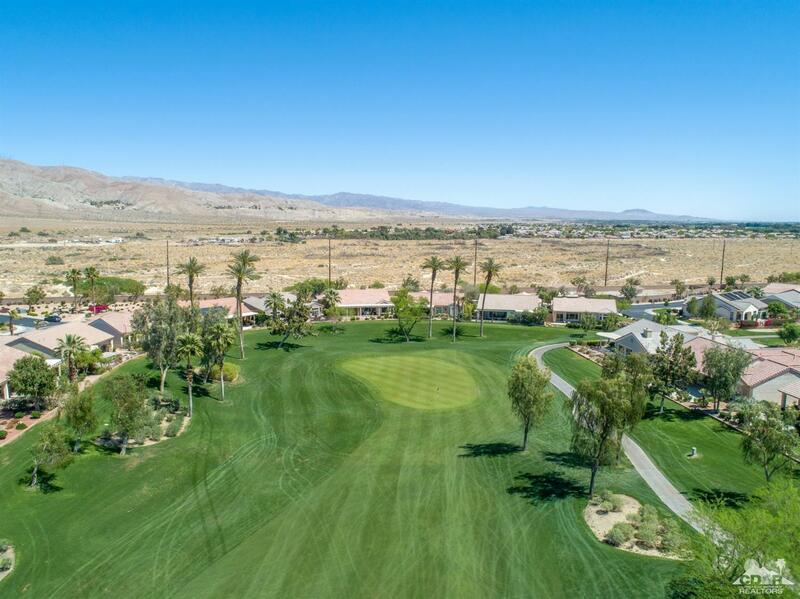 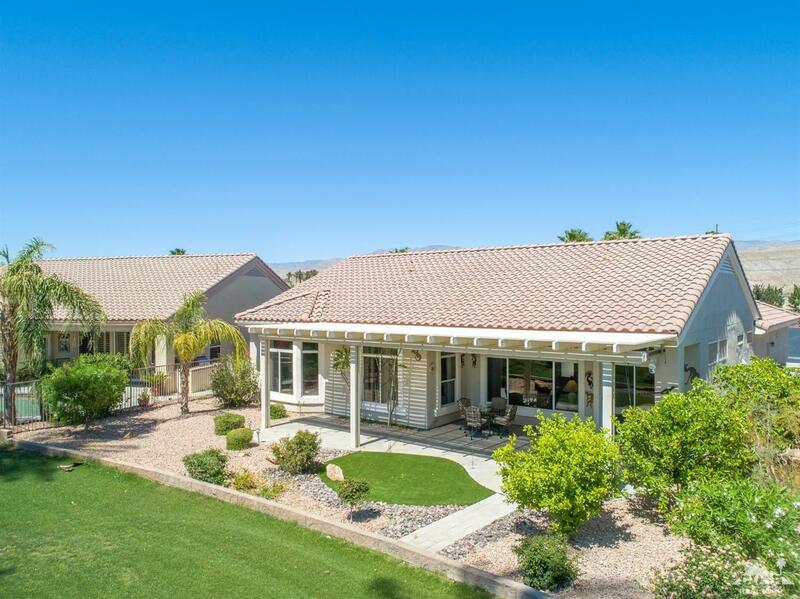 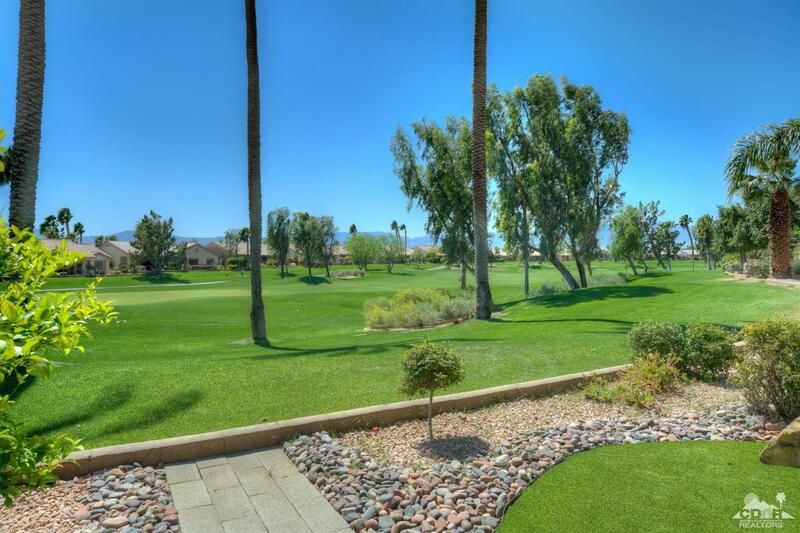 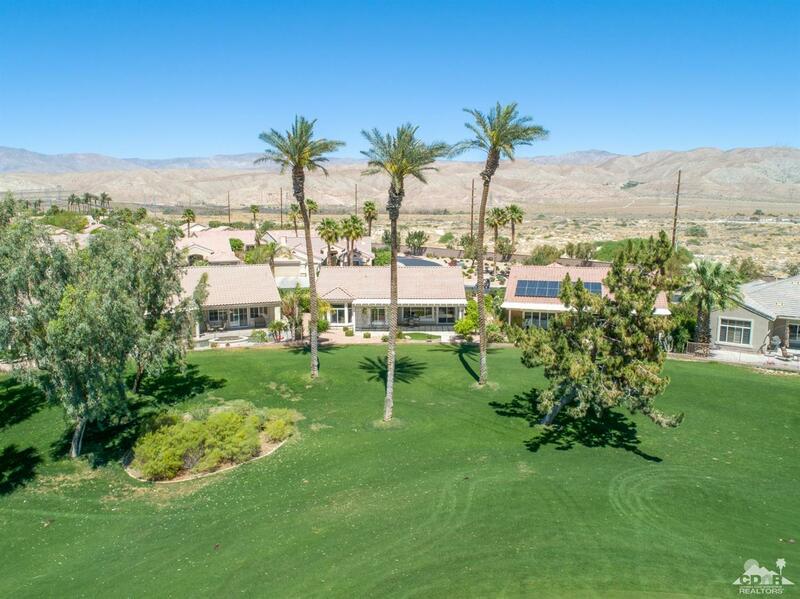 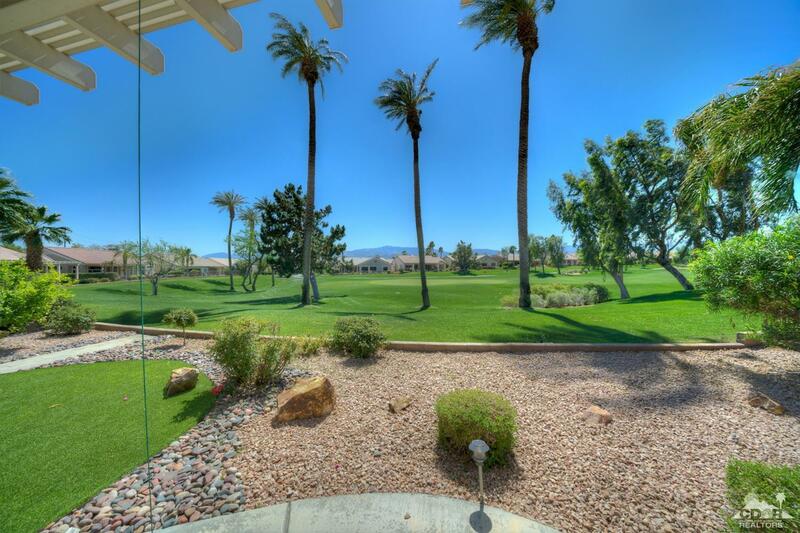 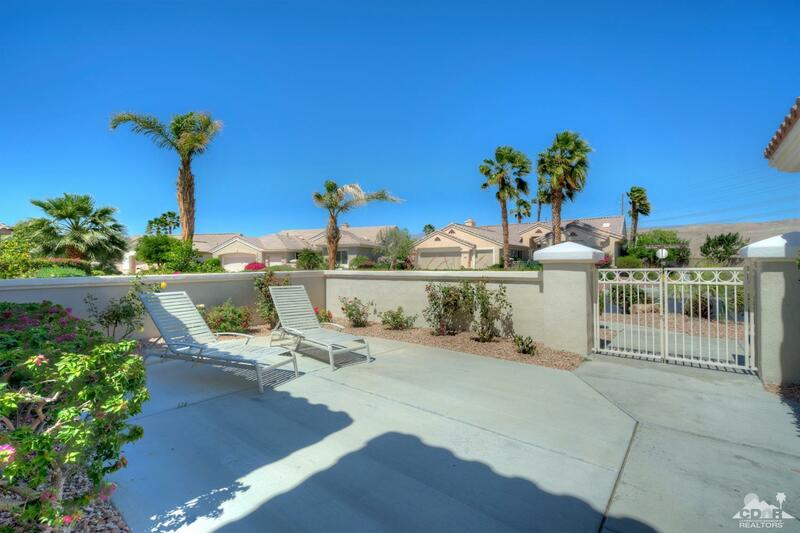 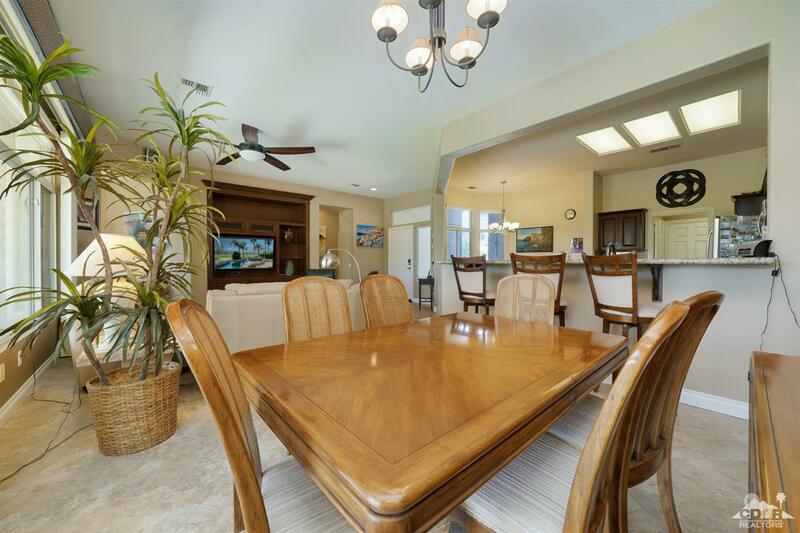 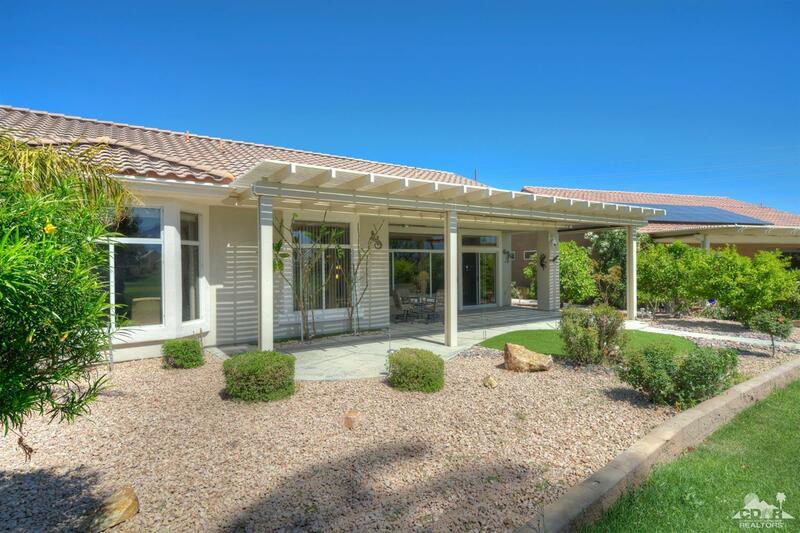 Looking down the 16th fairway this home has a spacious rear yard w/an expansive patio, alumawood cover, solar shades & panoramic golf course & mountain views. 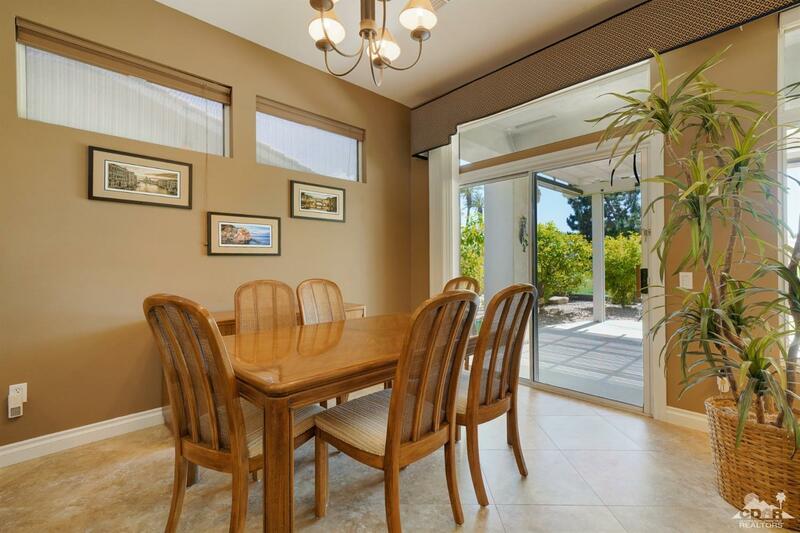 A gated courtyard w/patio provides curb appeal & function. 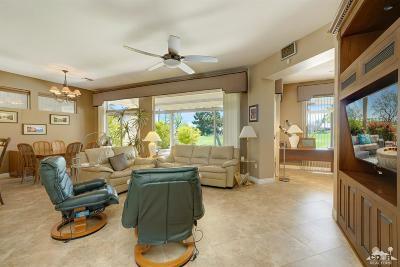 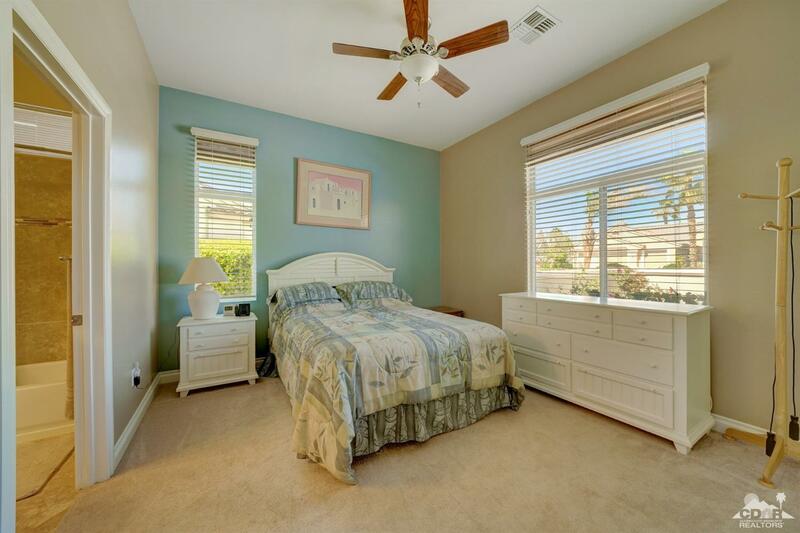 The remodeled interior includes 18in diagonally laid tile in all but the bedrooms. 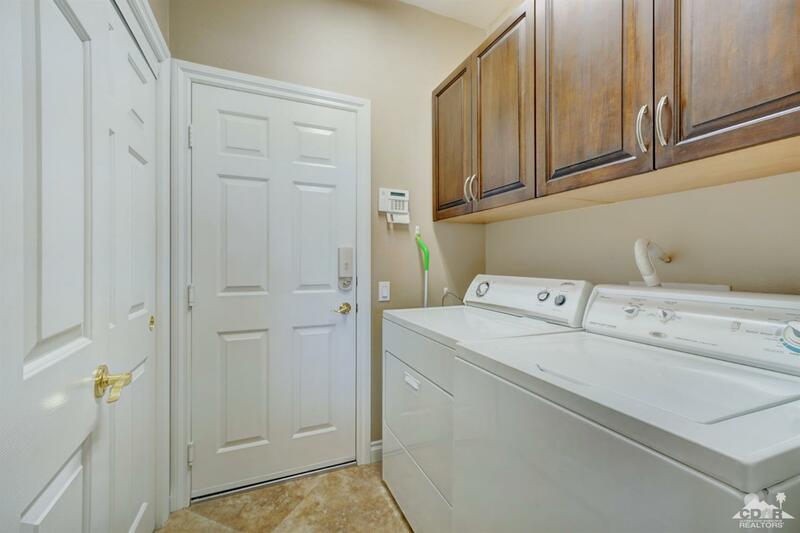 Upgraded baseboards are throughout. 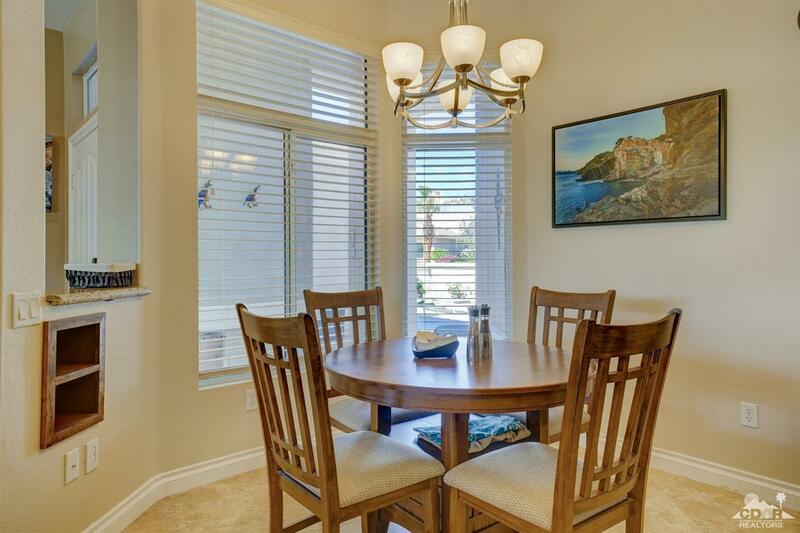 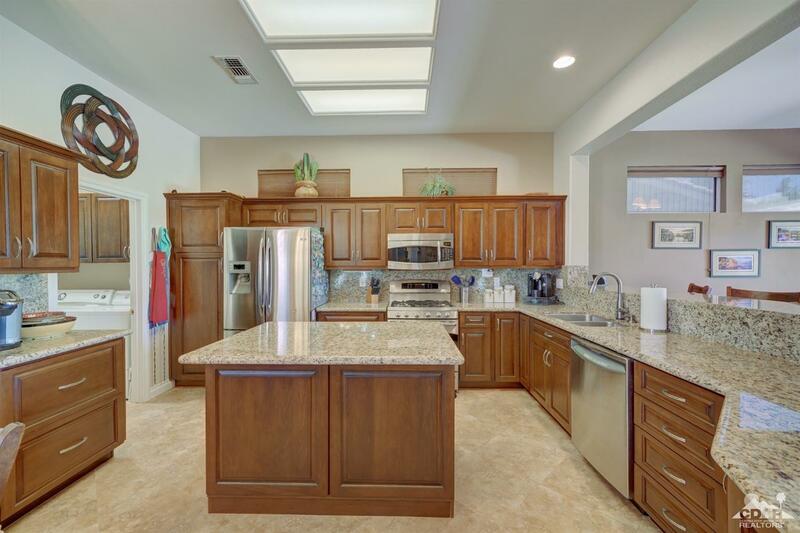 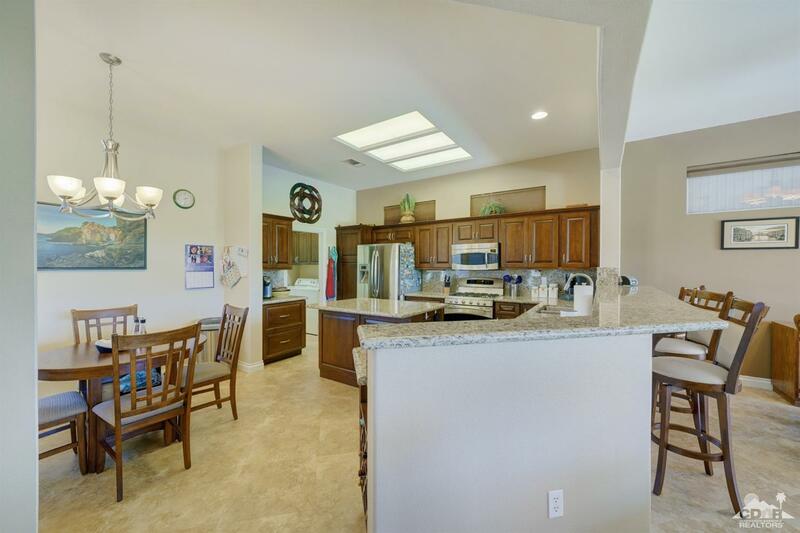 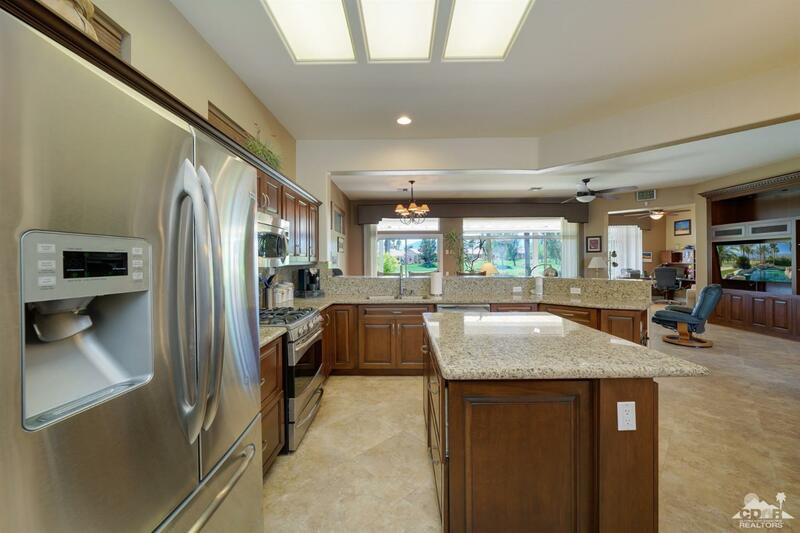 The kitchen features slab granite counters & backsplash, stainless appliances, breakfast bar & cabinets w/pullout shelves. 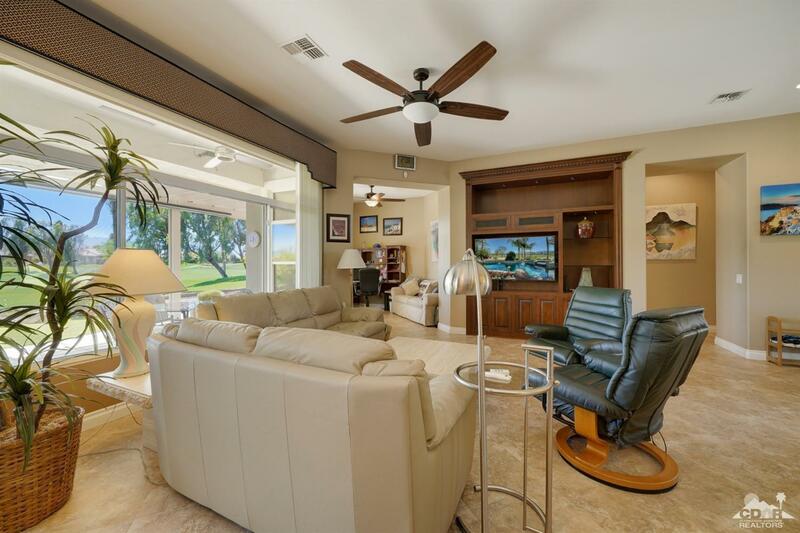 A custom builtin media center is in the greatroom. 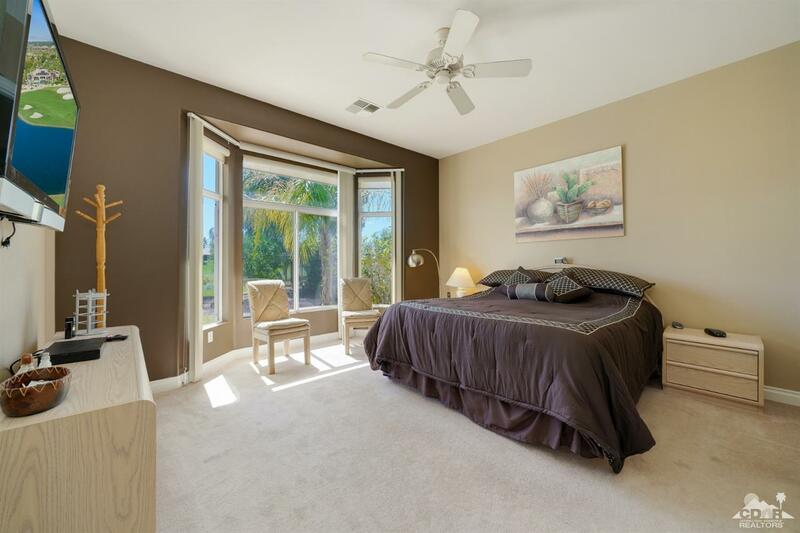 The master suite has a bay window & large walk-in closet w/builtin storage. 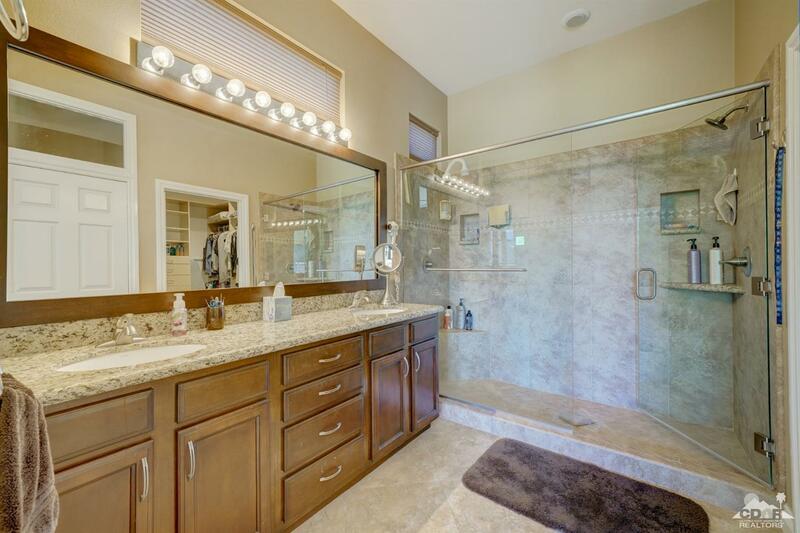 The master bath has granite counters, upgraded dual sinks & hardware, a stall shower with 2 shower-heads & porcelain tile surround. 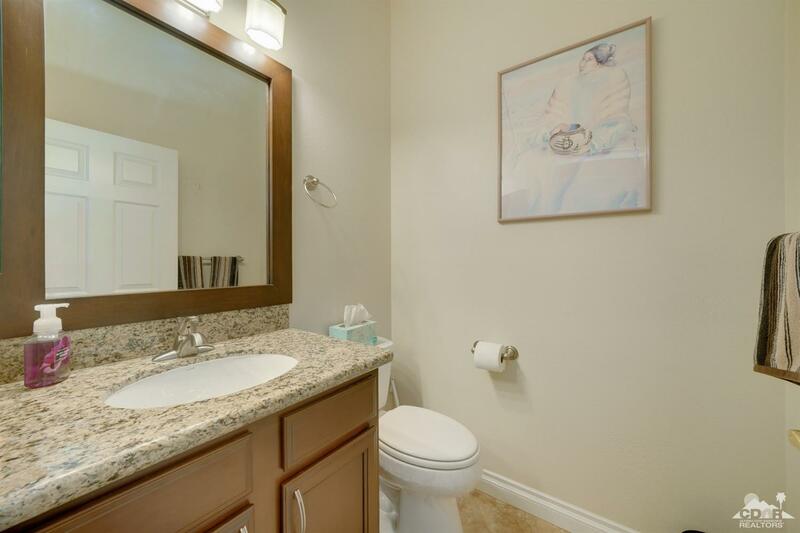 The guest suite bathroom and powder rooms have granite counters, upgraded sinks & hardware. 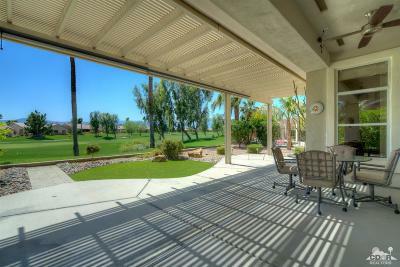 The extended 2 car garage has a nook for golf cart parking & an epoxy floor. 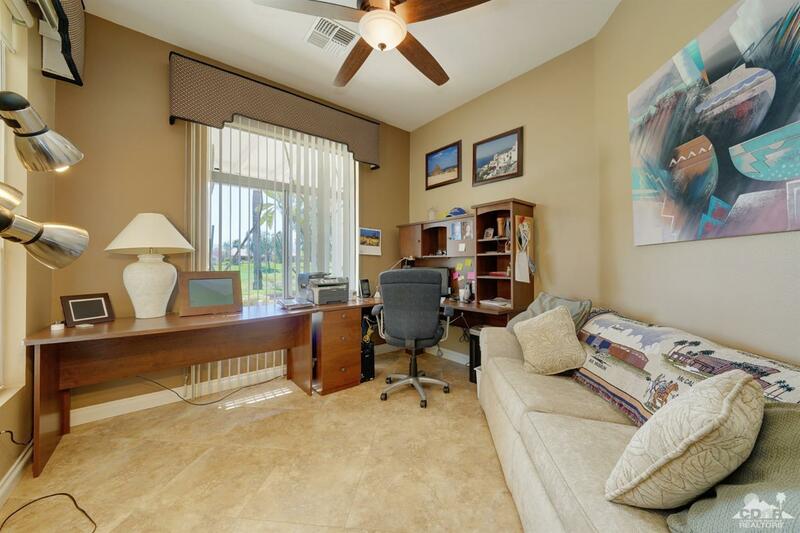 Furniture available outside escrow.